This Monday was Day 30 of the 2016 Georgia legislative session. Day 30 is probably the second most important day of the session and arguably one of the longest for legislators, the media, and those concerned about the fate of certain bills. Day 30, also known as Crossover Day, is the day by which bills must favorably pass out of their chamber of origin in order to stay alive for the rest of the session. In other words, if a bill is dropped in the House of Representatives for consideration, it must be voted on and approved by the House on or prior to Crossover Day in order for it to remain a viable bill and be considered in the Senate later on. 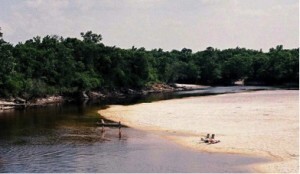 The sandy bank receives no legal protection under the current law. known as buffers, keep dirt and pollutants out of our waterways, protect critical fish and wildlife habitat, and prevent damage to downstream properties. Unfortunately, due to a technical flaw in this Act, the current law does not enable Georgia’s Environmental Protection Division to consistently establish streamside buffers on the numerously different types of creeks, streams, and rivers found in Georgia leaving many banks without any buffer at all. Last year, the Georgia Supreme Court even advised the General Assembly to “fix [this] ambiguous and arbitrary law that leaves many of the state’s waterways without legal protection.” HB 966 was sponsored by Representative Johnnie Caldwell, Jr. (R-Thomaston) and co-sponsored by a large, bipartisan group of representatives to fix this gaping hole in Georgia water protection. The bill was sent to the House Natural Resources & Environment Committee in mid-February, and it never left. Chairwoman Lynn Smith (R-Newnan) and Sub-committee Chair Buddy Harden (R-Cordele) chose not to allow a committee vote on HB 966. Because there wasn’t a vote, the committee couldn’t send it along to the House floor for a vote, and the House couldn’t pass it by Crossover Day in order to keep it alive this year. HB 966 died on Crossover Day. Verdict: FAIL – This was an incredibly disappointing loss for comprehensive water protection in GA.
Senate Bill 36, however, is still very much alive this year because it “crossed over” from Senate to House last year (the first of the two year session). But again, Chairwoman Smith isn’t inclined to move this bill out of her committee either. Instead, she and some of our local representatives drafted and passed a House resolution (HR 1198). Like we’ve covered in previous posts dedicated solely to SB 36, resolutions do not carry the weight of a law and thus this resolution merely suggests things that should be required of our state to ensure clean water is protected. Please urge your representative to ask the Chairwoman to bring up SB 36 for a vote in the House Natural Resources & Environment Committee. Or better yet, get your rep to sign Rep. David Stover’s discharge petition which would move the bill along without a committee hearing. You can find your representative here. 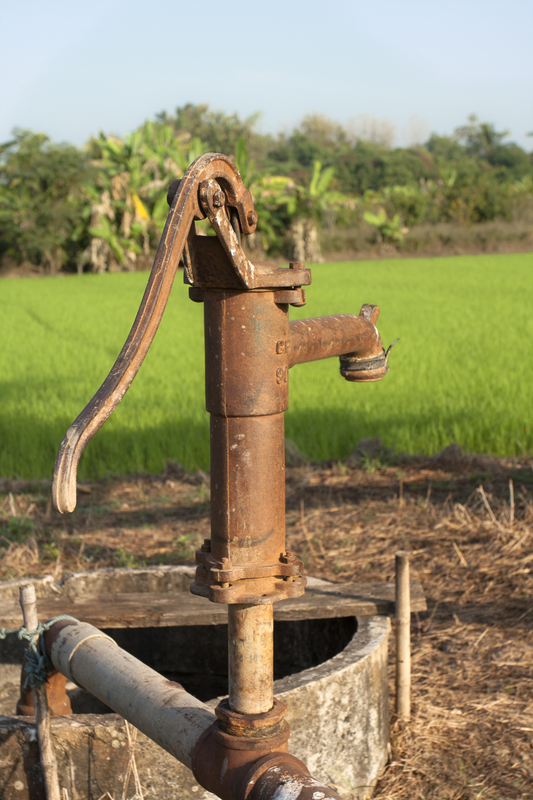 Verdict: NEUTRAL – While no immediate action was necessary for this bill on Crossover Day, we are still waiting for the House Natural Resources & Environment Committee to do the right thing for GA groundwater before the final day of the 2016 session, March 24. The best news of Day 30 came late in the night, the very last bill to be heard in fact – HB 1036. This bill is connected to a heated issue that has captured the attention of landowners across the state – “Should private pipeline companies have the right to use eminent domain to take land away from GA landowners?”. This issue blasted into the spotlight immediately after Kinder Morgan proposed the Palmetto Pipeline and sought the right to utilize eminent domain along the pipeline’s path from South Carolina to Florida. HB 1036 would enact a temporary moratorium on the use of eminent domain for the construction of petroleum pipelines so that a commission of elected officials and field experts could conduct a detailed study to ensure the exercise of eminent domain and environmental permitting are carried out in a prudent and responsible manner. After passing unanimously through committee, HB 1036 landed on the House floor just in time on Crossover Day to be passed with only two representatives voting against the bill. Verdict: VICTORY – We are looking forward to this bill swiftly passing the Senate. 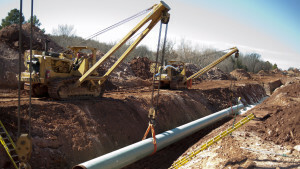 While this would not end the fight against the Palmetto Pipeline, it certainly would land a significant blow, especially when coupled with Kinder Morgan’s recently failed attempt to appeal DOTs decision to deny them the use of eminent domain. Here are a handful of other bills we were watching – information pulled from Chris Manganiello’s Georgia Water Wire post that can be found here. HB 1028, the “Leaky Landfill Bill,” would require owners or operators of municipal solid waste landfills to notify local city and county governments of any significant release within 14 days. This bill unanimously passed the House on Crossover Day. SB 346 would exempt GDOT and local government projects from Georgia Environmental Policy Act (GEPA) review if they are state funded. GEPA is meant to protect natural and cultural resources by requiring alternatives analysis and consideration of impacts and ways to mitigate that the Erosion & Sedimentation Act does not. SB 346 passed the Senate on Crossover Day – 36 to 15. House Resolution 502 calls for a referendum to amend the GA Constitution and stop Governors and legislators from raiding state trust funds (such as the Solid Waste and Hazardous Waste trust funds). These funds collect revenue from various fees. For instance, new tire fees are meant to cover the cost to clean up abandoned tire dumps. These two funds have collected around $450 million in revenue since the 1990s, but legislators have only appropriated $264 million (or roughly 59%) to fund the intended purposes of these fees. The remaining money was funnelled into the state’s general budget. Only a constitutional amendment can fix this problem. This resolution died on Crossover Day. SB 321, the “Utility Secrecy” bill, would have allowed public utilities to keep their water and energy consumption data confidential as a “trade secret” unless they gave explicit permission to the state or local governments to release that data. This bill would have been a large blow to utility transparency. Fortunately, the bill died on Crossover Day. And finally, SB 326 would have altered the Erosion & Sedimentation Act in a way that would have harmed the permit review process for land disturbing activities. In short, if this bill becomes law, the flimsy review process would allow projects to harm downstream property values by allowing more mud into our rivers, lakes, and streams. This bill was relegated to a study committee for further review and did not survive Crossover Day. Looking back on this scorecard, we have plenty to celebrate, but there is much more work to be done in the ongoing effort to protect Georgia’s precious natural resources. While Ogeechee Riverkeeper’s focus is to represent the environmental interests of the Ogeechee River basin and its people, we are proud to fight for clean water alongside other like minded organizations in the Georgia Water Coalition. Only together can we ensure comprehensive water protections that cover our entire state. We are deeply committed to supporting clean water policy and fighting environmental rollbacks in our ongoing effort to protect, preserve, and improve water now and for future generations. Stay tuned for more legislative updates as we approach the end of the 2016 legislative session on March 24.